Another musical gem from Delhi chats with R&L to take us into the widely spreading world of the indie music scene in the country. 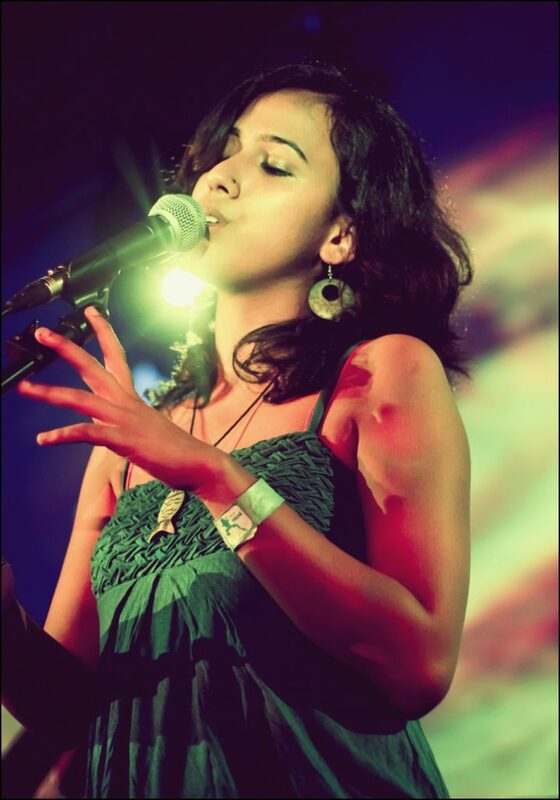 Today we have Subhadra Kamath, a singer-songwriter, bassist and main vocalist of “The Yellow Bucket” from Delhi. She has been singing from a very young age and grew up surrounded by music lovers. She credits her very supportive family, who has given her space and the confidence to pursue her passion for music. 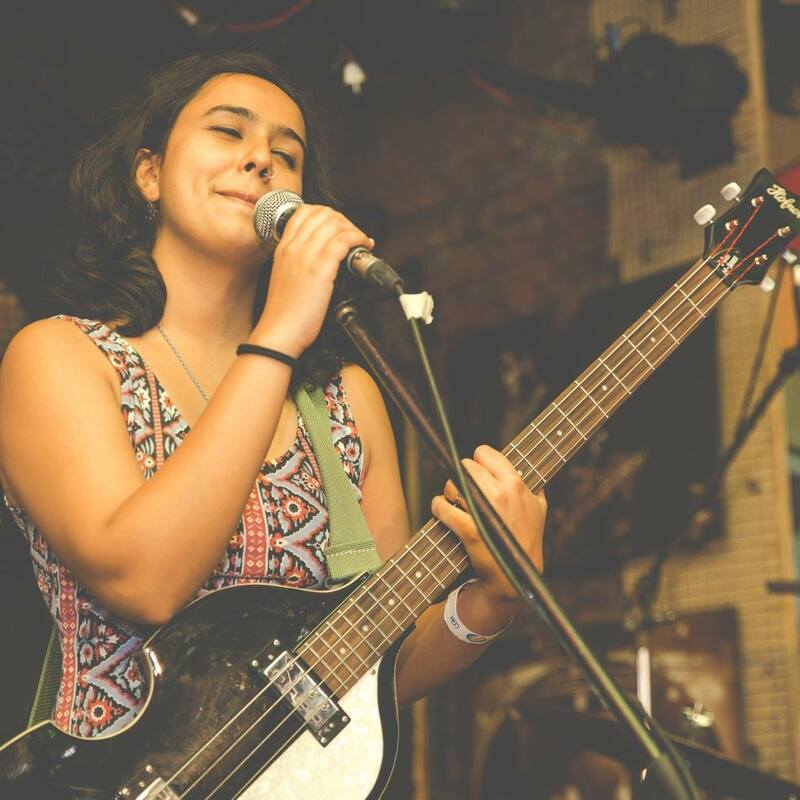 She is also a theatre artist and a music teacher “I also teach music and am deeply interested in learning how to use the arts as a means for self-expression and healing.” Let’s get to know the very fascinating musician and artist Subhadra and her various interests over a quick chat! 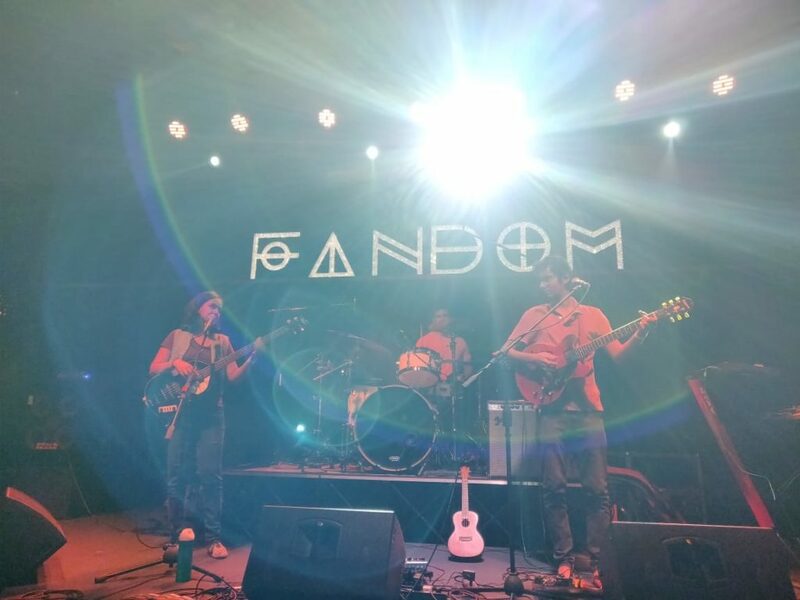 We chat with the very talented musician Subhadra Kamath as she shares about her indie band “The Yellow Bucket” – an electro-acoustic band from Delhi. Read on to know more about her, the band and their music. Hi Subhadra, so nice to have you with us today! Please introduce yourself. 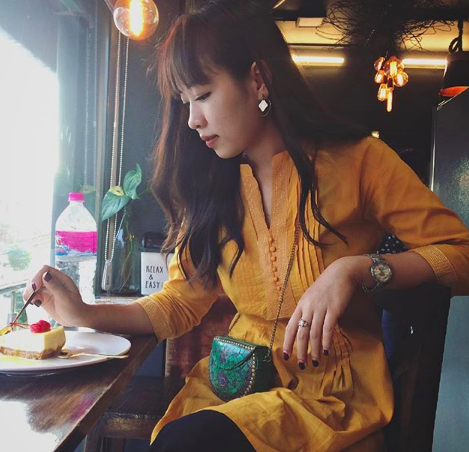 Hi, my name is Subhadra, I’m 29 and I live in Delhi. My roots lie somewhere in Mangalore but I’ve lived in Delhi/ NCR since I was 5; I studied here and also work here now. Introduce us to your work. What got you started as a musician? I think I started singing almost before I started articulating words – I babbled and made up stuff and repeated tunes I heard around the house, mostly old Bollywood songs and bhajans. Eventually, in school, they figured I like singing so they put me in the choir and I sang my first Solo with a band when I was 6 in Siri Fort, sitting in the musicians’ pit. It wasn’t something I thought about much honestly, I liked singing and the music was an important part of my identity in school and in college, so I went with the flow. Tell us about your band, ‘The Yellow Bucket’. How did you guys form? What’s the story behind the name of the band. I met band member Ritwik in 2010 and he asked me to sing for a studio project he was working on which was exciting because it was inspired by Zero7 and Air and the likes. We recorded a few songs and soon enough “Tankbund” started performing and traveling. However, the setup in Tankbund is fairly complicated and the songwriting is very intense. The two of us just started fooling around with writing simple (almost cheesy) lyrics and putting them to simple melodies- adding random instruments (even a bucket) and that’s literally how TYB was initially formed. 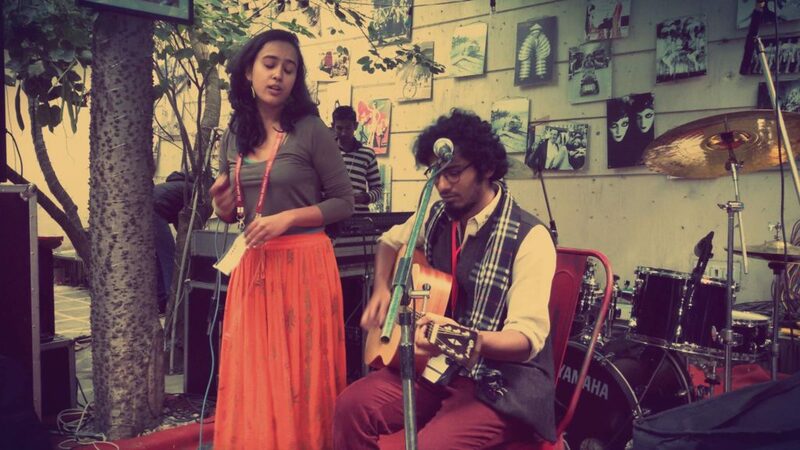 “The Yellow Bucket” performing in Jaipur Lit Fest, 2015. Both my parents are very musical people and I grew up listening to beautiful music such as morning ragas, bhajans, Bollywood (A LOT of Bollywood) in the morning and I feel like these things have left their mark on my voice and the way I sing. I got introduced to Western Music later and found it easier to articulate myself. But till date, I emote a lot better when I sing in Hindi – however, I fail terribly writing in it. “I never had the opportunity to train professionally so I ended up learning experientially and by listening and doing and I think that’s something I continue to do. I haven’t learned to play the bass professionally, I just started doing it and I continue to explore the instrument as I perform and play. What do you do full-time? If part-time, how do you manage to indulge in this passion of yours? I work with Music Basti- which is a project that aims to use music to work with children in adversity to build life skills, which is really close to my heart because every day I learn something amazing from the teachers and students I work with. I also work with a bunch of lovely theatre folks in Delhi called Barefoot theatre. I’ve been performing with them in plays based on very relevant social issues. “Three hearings…” was a script based on James Alan Gardner’s short story, and spoke of discrimination and othering that we’re now seeing rampant in our society. I’m currently performing and traveling with The Legend of Ila, which is a musical based on Gender Fluidity. I also teach music and am deeply interested in learning how to use the arts as a means for self-expression and healing. What’s your creative and work philosophy – where do you take inspiration from? That there’s always ALWAYS more to learn, at no point should one feel like they’ve reached the end of learning because it really is an endless journey and that’s what keeps every day exciting and something to look forward to! Awesome! Lovely message, and what do you hope people take away from your music? I hope they take away imagery and lots of emotions, peace of mind and hope. Because those are the seeds we put into the songs. We released our music video for “Vagabond” – it’s a song that’s been really close to our hearts. Vagabond is on the second album and is about the journey of a woman who is fending for a loved one, and also on her own journey to be free.